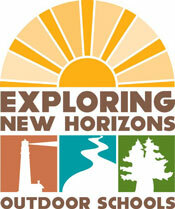 Exploring New Horizons Outdoor Schools at Pigeon Point offers small scale, customized, 2-3 day environmental programs to K-8 and special needs children. Established in 1985, this flexible ocean based program encourages active participation from students and their parents from more than 18 schools on the central Pacific coast. 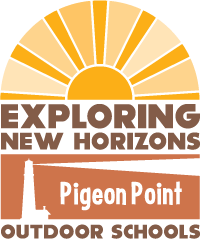 Overlooking the ocean, participants stay at the historic Pigeon Point Lighthouse hostel, learning about the intricate life of tide pools, the near extinction of the Elephant seals, and the rich cultural history of the San Mateo coast. Sharing their love of the natural world through story telling, music, and puppetry, our inspired staff of naturalists combines their extensive outdoor experiences with a genuine passion for educating and inspiring children.